"Aren't we weird human beings?" read my text message, "Us and our 'celebrity' crushes on people who are just regular humans like us." I don't think there's a definition of a fan girl floating around on Merriam Webster's pages, but if there were, I think it might include a high level of admiration for someone you have not met. I have met Rachel Shingleton. We met in January at Alt Summit in Salt Lake City. Rachel's totally down to earth and easy to talk to, and there is potential that she didn't know I was a big fan girl, but she probably did. Upon meeting her, I told her I couldn't wait to collaborate on something. Sometimes, I kind of get really excited. As you can see in the image below, I've been a fan for a few years. When I first saw her logo - the name, the colors, the stripe - I thought it was so brilliantly done. 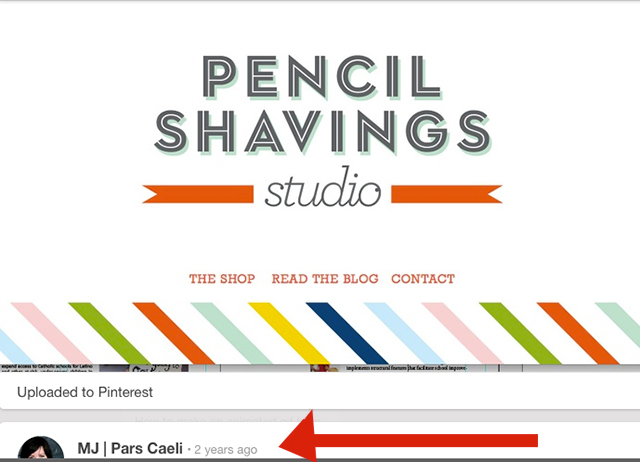 I still think so, except now, Rachel has taken her style and color blog to a whole new level. 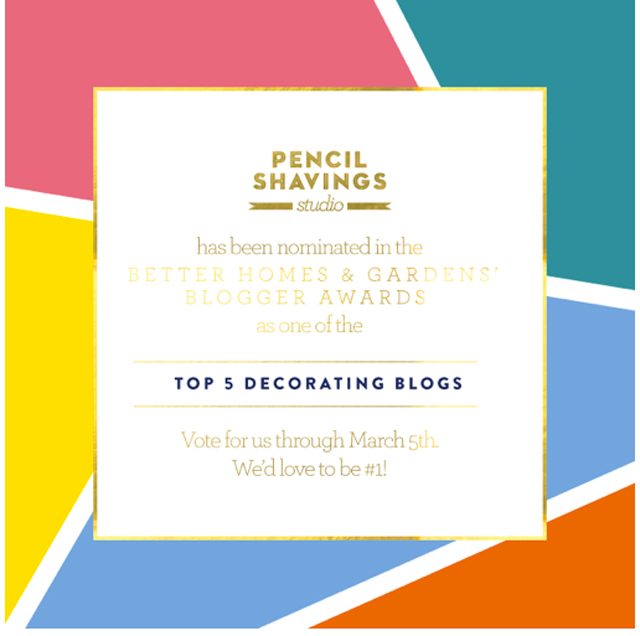 She's received a lot of honors, including the Better Homes & Gardens Top 5 Decorating blogs (and look at the kicking graphic she made for her award). In her shop, she's grown and expanded to retailers like The Limited and Nordstrom's. Rachel says that she's never met a color she didn't like. And she does such an amazing job of making those colors work together in energetic, blissful ways. 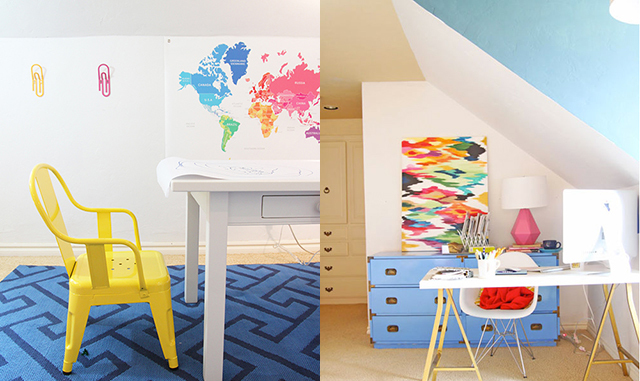 Her home tour with Gabrielle of Design Mom is a must see. The vibrancy of each room just hums. Mixing in bold tones with fresh white all throughout the home, Rachel is a whiz with pattern and texture. 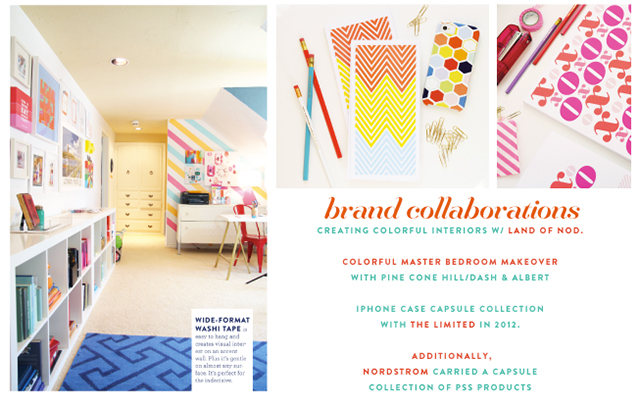 She partnered with The Land of Nod to reimagine her office and playroom. It's such a spectacular finished space that beckons creativity to come on out. I've followed her personal story as well which she tackles head on with her blog. And I'm delighted for Rachel and her family as they welcome their long-awaited second child! From hair-styling and fashion, to home decor, to cute gifts and great ideas, Rachel always have something fresh to offer. Rachel, thanks for your myriad of awesome work.